On Saturday morning October 27, 2012 I got into my beautiful black Kia and took a ride up the Black Canyon Freeway–destination Prescott, Arizona. I tried to get there once before this year, but wound up stopping at Arcosanti. This time I successfully navigated the road construction–very confusing cloverleaf the state is building–imho, a big disimprovement to what was already there–made the crazy left turn and headed west from Cordes Junction to Prescott. 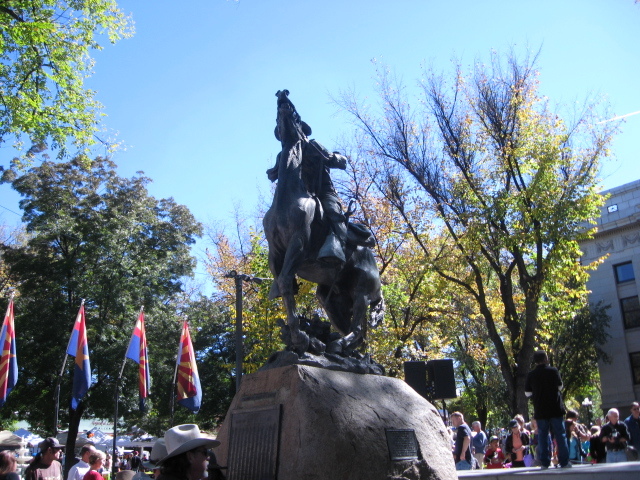 Prescott used to be a large town with an Old West atmosphere–a small city full of cheap motels, antique shops, art galleries, and trading posts. It still has all those things, but is now totally surrounded by miles of suburbs and strip malls. 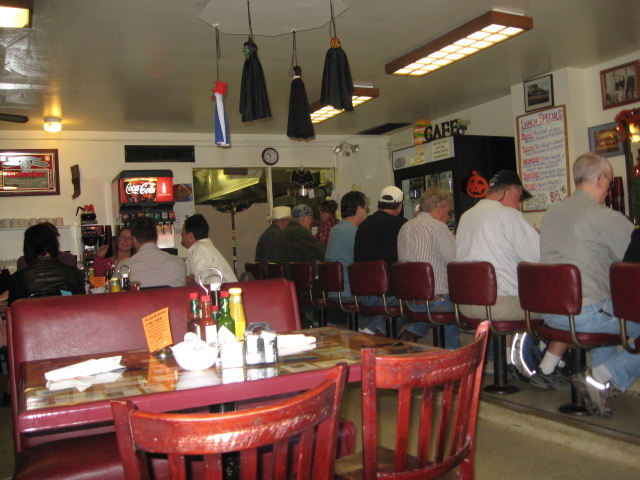 In addition to Prescott itself, there is also Prescott Valley and East Prescott. 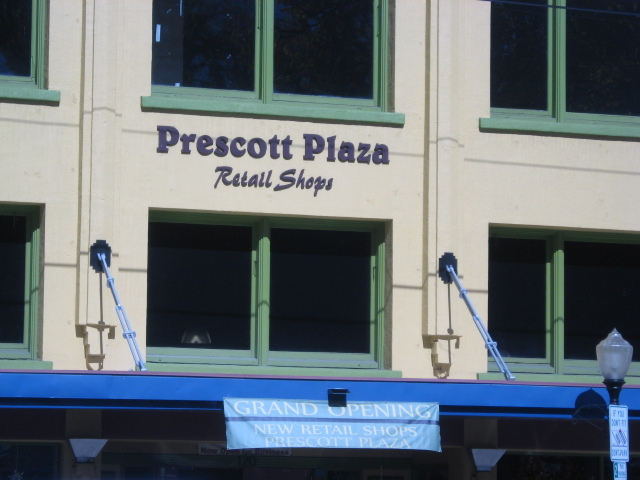 Prescott was twice capitol of Arizona, once from 1864 to 1867 and again from 1877 to 1889. Since 1889 Phoenix has been the capitol and most important city in the state. The city is sometimes called the Mile High city (yeah, like Denver) because it is 5200 feet above sea level. The city was named after William H. Prescott, an American historian who wrote some truly epic histories of the New World. The 2010 census population was about 40,000 people, but it is the center of a metropolitan area that contains more than 200,000. With a lot of traffic on the roads and suburbs sprawling in all directions, it feels like there are hundreds of thousands of people there. I drove through town on what used to be the main drag, Gurley Street, and parked near the Sharlott Hall Museum. Then, I disembarked, had some breakfast in a nearby cafe, and walked around town for a while. 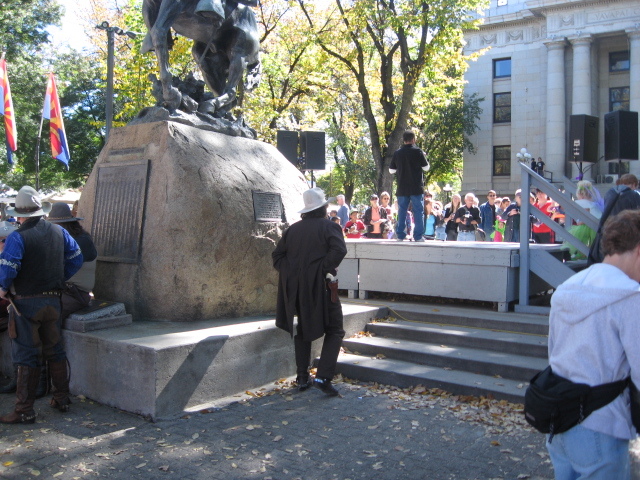 This is not an organized tour of the city, but just things I saw as I ambled around. 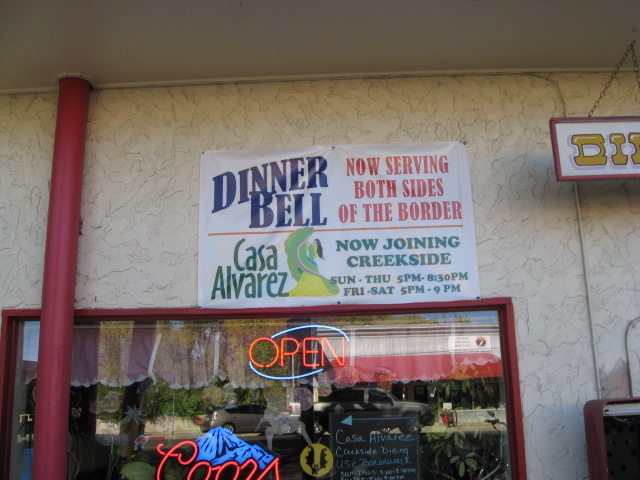 My first stop was the Dinner Bell cafe–one of those old style Mom and Pop eating establishments that used to be the small restaurant scene in America. It had been in business since 1939 at the same location. I left home without any breakfast, and so I was very hungry by the time I got to Prescott. I also needed to use the facilities, so the cafe was a logical first stop. Prices are a little higher in these places than they are in fast food joints like Wendy’s, but the food is much better. I ordered a Denver omelette, a delicacy I haven’t had for several years, and coffee. They were good–plenty of real food. There went my calorie count for the day. Inside, the place was cramped, but I got a booth. Clearly the place has a lot of regulars. 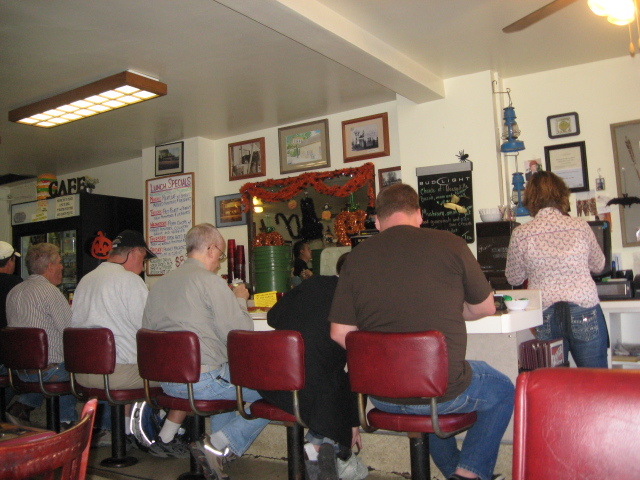 Like many American diners, the walls were covered with memorabilia of all sorts. I’m sure every picture has a story, but I didn’t get any of them. My waitress had sparkly pockets on her blue jeans. The place was heavily decorated for Halloween, and most of the people seemed to know each other. Fortified with breakfast, I went out and immediately found the true cause of my visit to Prescott. I remembered there was an old bookstore in this part of town, and I wanted to see if it was still there. Yes, it was. The pink shop across the street from the Dinner Bell is called The Book Nook. 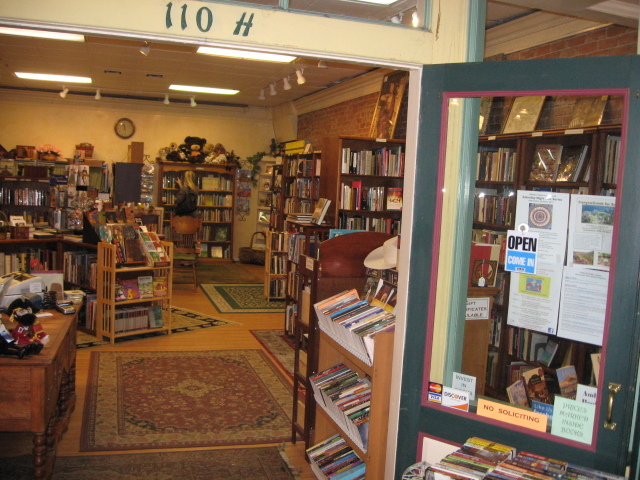 It is an old style bookstore crammed from floor to ceiling with used books–most of them in only fair condition. It is full of treasures, and most of them at reasonable prices. While I was inside the shopkeeper asked me if I was looking for anything in particular. 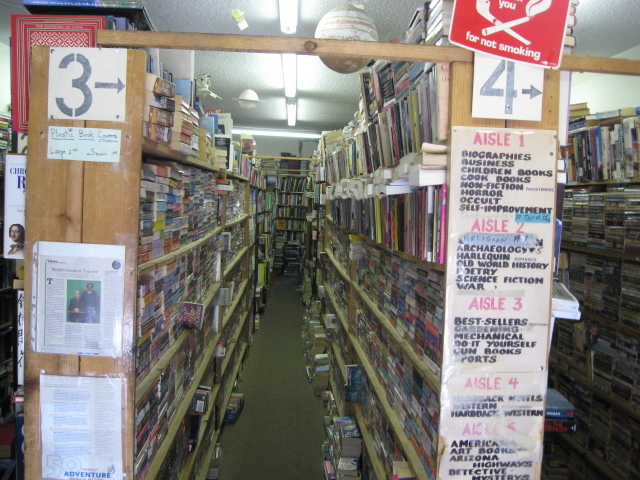 I mentioned Edgar Rice Burroughs and Otis A. Kline, and was introduced to Marilyn, the shop owner, who told me that the better, rarer stuff was downstairs. I talked her into letting me go downstairs with her and found a basement crammed with old treasures not really much different from the stuff upstairs. She had a computer down there, and could look to see if she had anything that would tempt me. I asked her about Talbot Mundy, and she came up with a thick novel called “Old Ugly Face”–a tale of mysticism and espionage on the India-Thibet border set in the 1930s–not in very good condition and she wanted $55 for it. 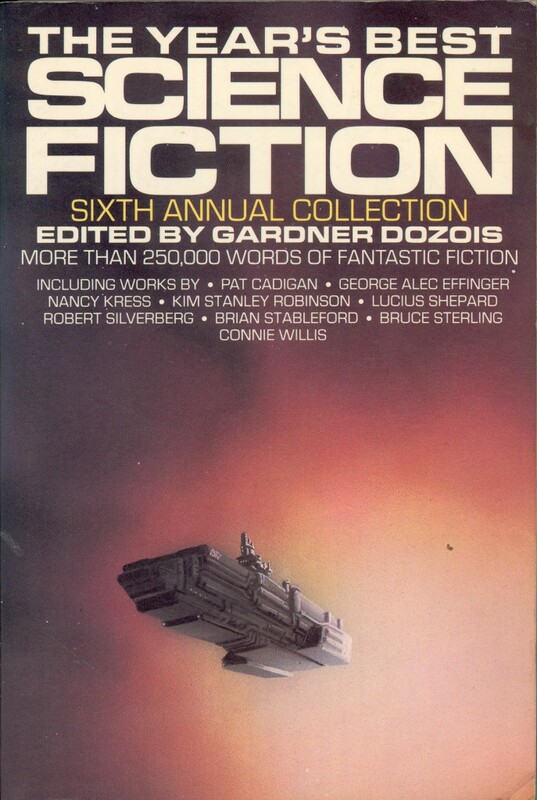 That was too much, but I might try to find it via inter-library loan. I asked for various other authors, most of whom she didn’t have, but she did have one by Aleister Crowley. This proved to be the find of the expedition, and for $35 I acquired an excellent magician’s manual. Title page and frontispiece. The book is bound in black buckram with gold stamping on the spine, but nothing on the cover. 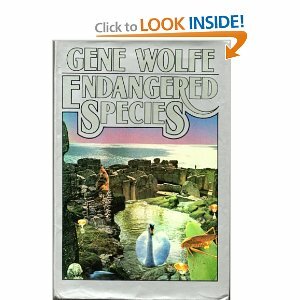 It must have had a dust jacket once upon a time, but that is gone. 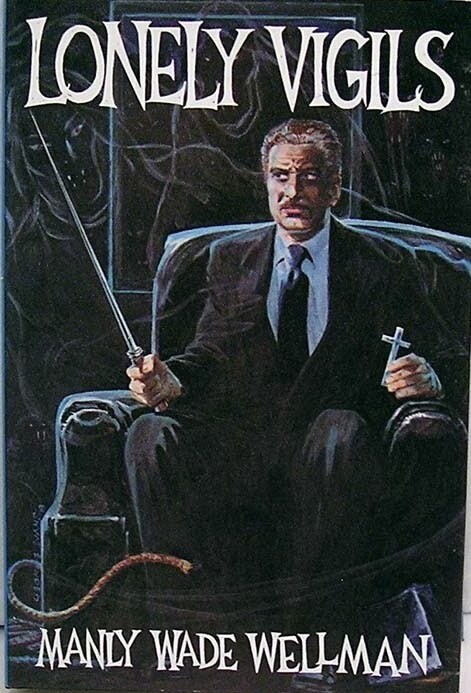 The author is Aleister Crowley. 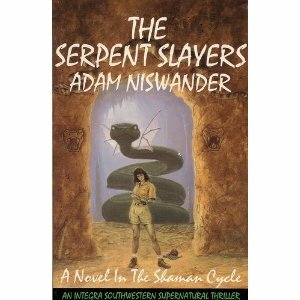 The title is Magick. New York, Samuel Weiser, 1973, c.1934. illus., plates, index. 511 p.
I am such a dabbler. After spending the money on it, I hope I can find time to read this book. 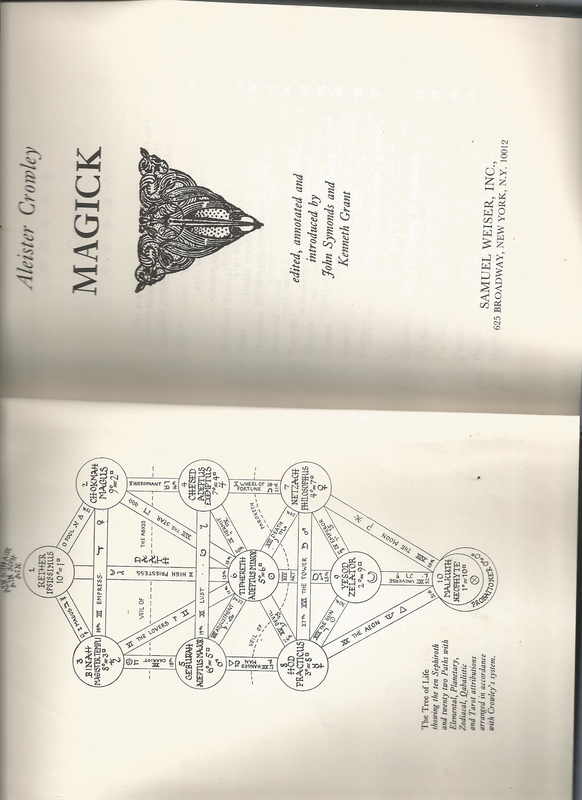 There is no chance in hell that I’ll ever be able to practice magick the way Crowley describes it. I found a second book that I wanted in the Book Nook, PETER AND THE SHADOW THIEVES by Dave Barry and Riddley Pearson. 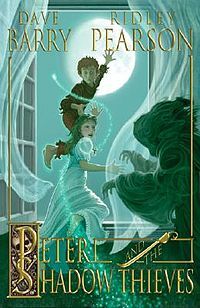 This Children’s novel is a continuation of the adventures of Peter Pan as imagined by modern authors Barry and Pearson. 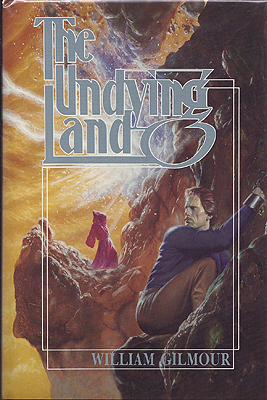 Actually there are at least 3 or 4 books in this series and they are prequels to J. M. Barrie’s work. 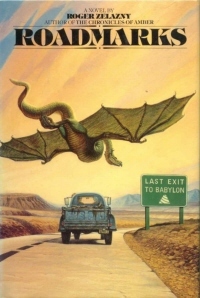 Barry is notable for his humor, Pearson for his thrillers. It seems like an odd team to do Peter Pan stories but they are surprisingly effective together. I read the first one, PETER AND THE STARCATCHERS about a decade ago, and when I saw the second one I bought it on impulse. Peter Pan has always been one of my heroes. I spent more than half an hour in the bookstore, and it was very pleasant. Such places are packed with treasures, and I’m sorry I can only afford to take maybe one or two pieces when I find them. IMHO, this is what bookstores should look like. Not elegant! Not spacious, bright, and clean! A narrow place, crammed with wonders, by an old magic-worker who loves her treasures and shares them with those who are wise enough to find them. 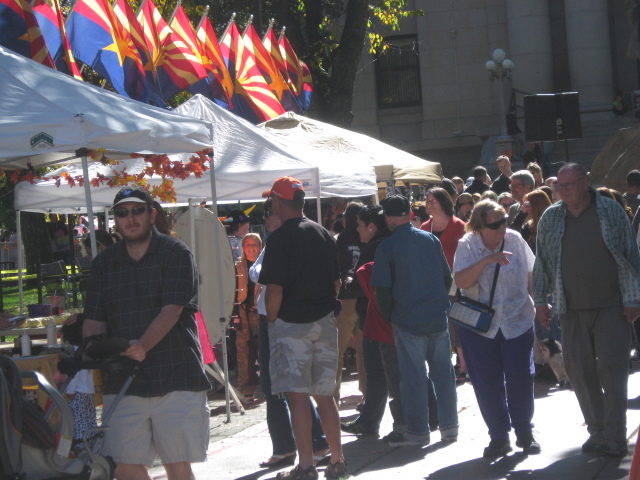 Leaving the bookstore behind, I walked into the central touristy part of Prescott. 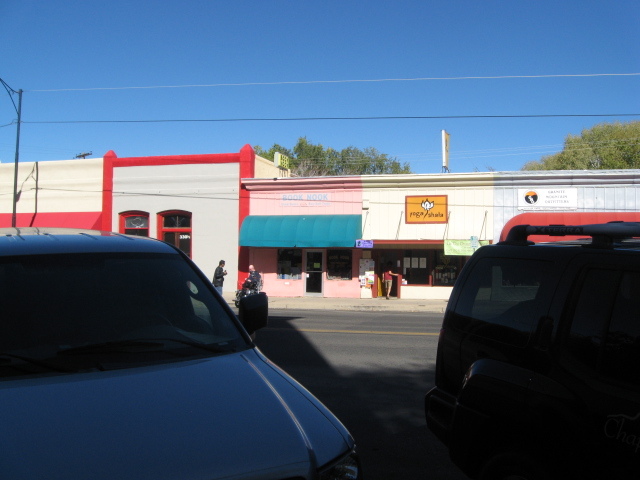 I also came to visit the antique stores, trading posts, and galleries. I love that kind of stuff, though I have neither money to spend on it, nor places to display any such loot. Oh well, a man can look and admire without buying. I also planned to get my day’s exercise walking around downtown. I kind of like it when artists do murals and bizarre gigantic paintings on the walls of buildings. 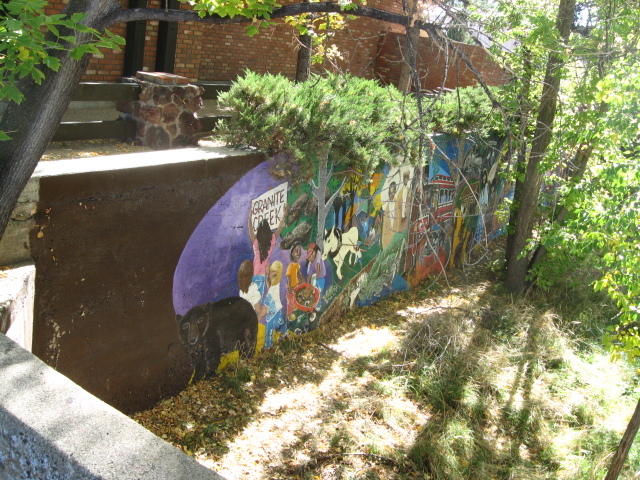 This splash of color is hidden by foliage on the banks of a creek that runs through western Prescott and is close to the cafe. I would like to eat dinner with this fellow some time. I found another bookstore, this one on Whiskey Row in the heart of town. It is called The Sage, and it is the antitheses of the Book Nook. Here everything is immaculate and in excellent condition, and the prices are all double and triple what they are at the other place. I walked through this store and admired it very much, but I didn’t buy anything. 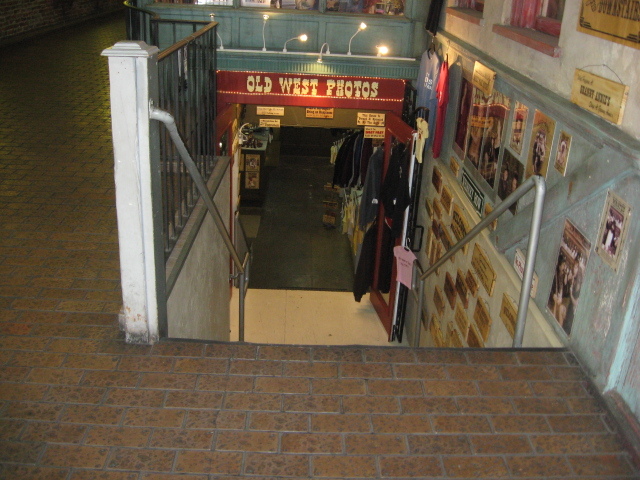 This shop is underground on Whiskey Row and specializes in western memorabilia–definitely a tourist trap, but a great place for those who might want some authentic old western costumes. 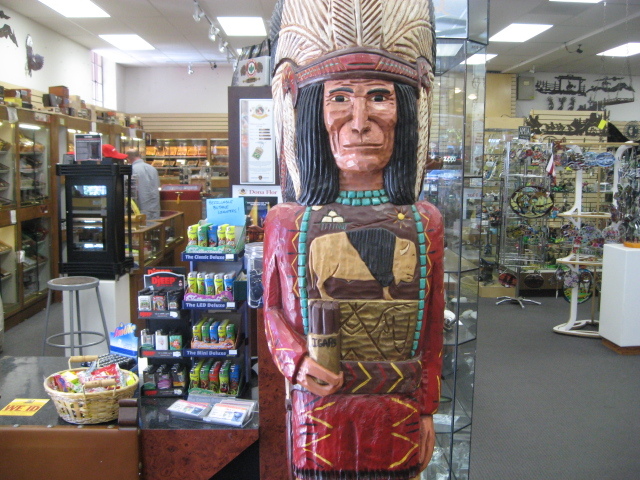 I found this wooden Indian inside another store on Whiskey Row where I stopped to admire the bolo ties, and wound up buying a couple of geodes. 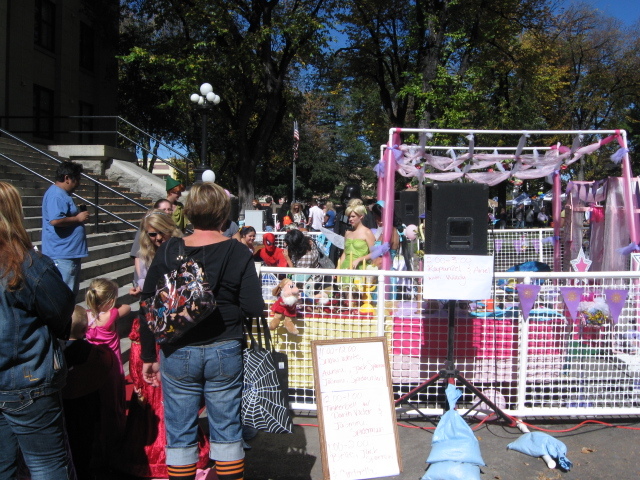 Prescott was holding a Pumpkin Festival for charity in the park around the Yavapai County Courthouse. 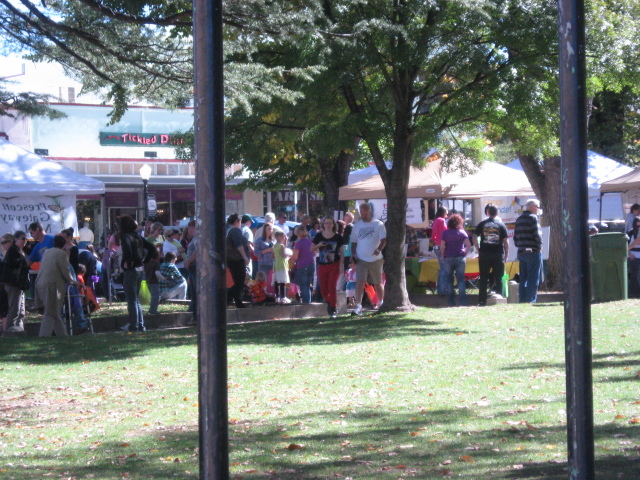 There has always been something going on here whenever I visited Prescott. 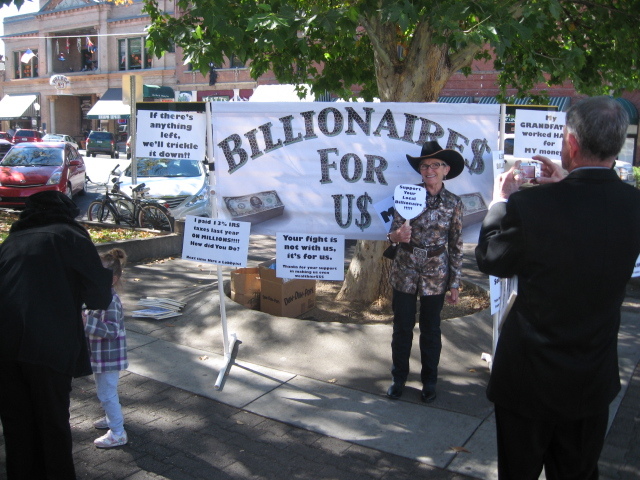 There was an anti-Romney rally going on, with a bit of gentle satire involved. Can you tell that it is almost Halloween? There is nothing remarkable about this building. I took the picture just to prove I really was in Prescott that morning. a pleasant day for a festival in the park. Pavilions all over the place. That massive building in the background is the Yavapai County Courthouse. One has to climb two flights of stairs just to get in through the front door. Festival booths seen from behind. Fry’s Wheel of Fortune. 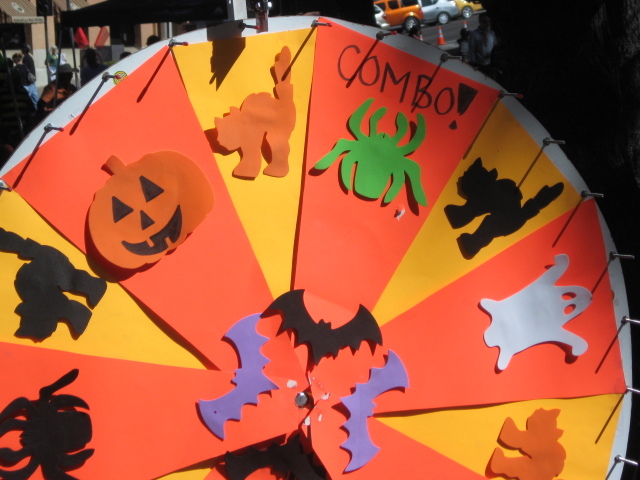 Spin it and win a bat, cat, pumpkin, or lunch at Fry’s food store. It is hard for me to pass up free stuff, but the line waiting for a chance to spin it was too long. Life sized statue of horse and rider. I really admire these old bronze masterpieces. 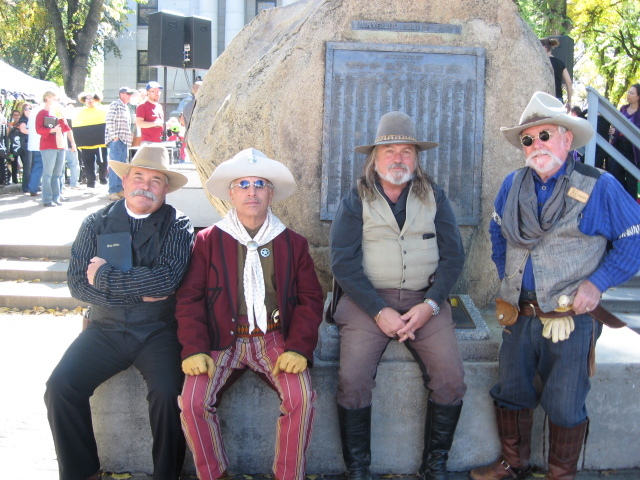 The Shootist–this old gunslinger is watching a costume contest for kids under the age of 7. The Over the Hill Gang, some old cowboys enjoying the fine weather. I spent a few minutes talking to them. 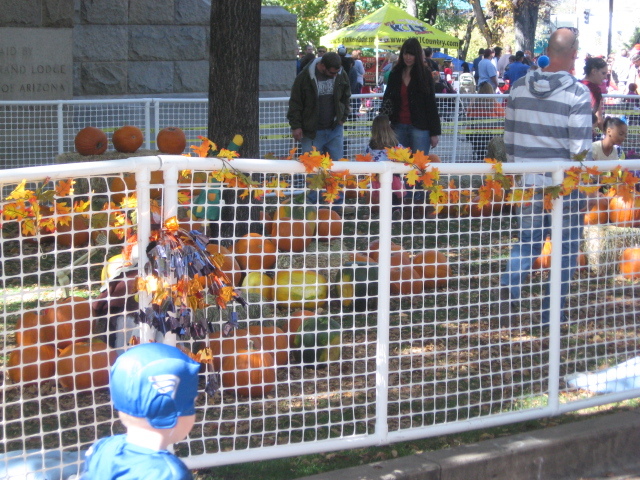 A pumpkin festival has to have a pumpkin patch. 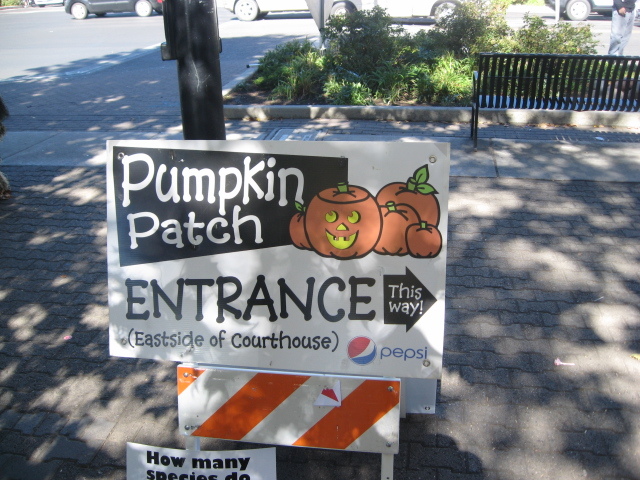 Neither Charley Brown nor the Great Pumpkin were in attendance, but one could buy a pumpkin for charity here. Damn that fat woman in black blouse and blue jeans. She walked right in front of me as I was shooting a papparazzi picture of Spider-Man and Tinker Belle. Seems like an unlikely combination. Darth Vader was there too. 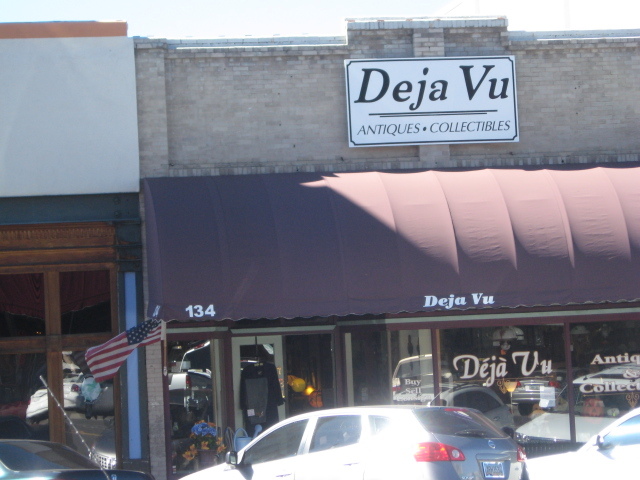 I finally left the festival behind and took a tour of the nearby antique stores. I admired some pretty trinkets, but didn’t buy anything else. Stopped to take a picture of a typical store though. I believe I’ve been here before. Deja vu! Nothing else worth mentioning happened. I walked back to my car, and drove home, getting confused again at the Cordes Junction turnaround, but quickly correcting and heading south. The whole trip took about 7 hours. I got my exercise for the day, two old books, and a pretty rock. And I’m wondering where I can go next time the wanderlust overcomes me. 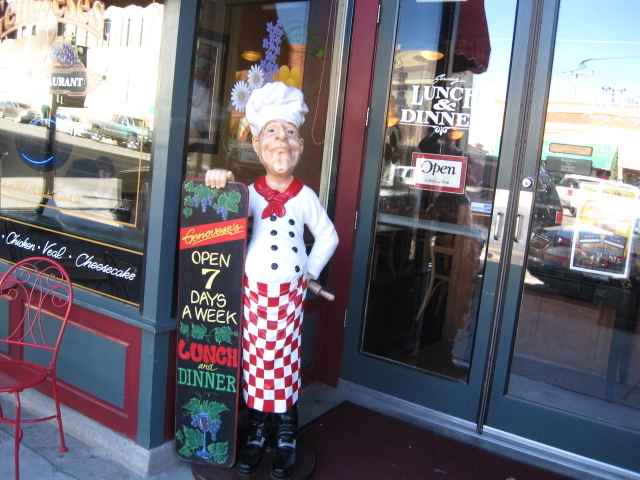 If you’ve ever been to Prescott, Arizona, or any other old town where you can find rundown bookstores and plenty of characters hanging out in the local diner, why not leave a comment?